I'm kind of a nostalgic kind of guy. I grew up in Bremen, once a proud harbour, although a lot of the activity has now moved to Bremerhaven. In other words, I grew up with a bustling harbour, with all kinds of ships and activity. I remember the promise of the big far wide world a proper harbour provides. Something only an ‘all purpose port’ can provide. I'd loathe to lose all that, I feel I'm not alone in that. Losing the ferry service I fear could be the beginning of the end for Port Ellen as a full fledged port. Once that's gone what's stopping other traffic to ‘jump the sinking ship’? It has been heavily criticised, but Bruichladdich has a (council owned, just like Port Askaig) pier which could probably handle several of the things currently being handled by Port Ellen. A lot of cargo traffic could just move to the bigger RoRo ferries calling in Port Askaig. The barley boat is still contracted to Port Ellen for a while, but knowing how big companies like Diageo think some accountant could change that very quickly if there is a cheaper way somewhere else. I think Ron underestimates the economic benefit the ferry brings, I don't think people are just ‘racing off the ferry to their final destination’. There are probably more people stopping in Port Ellen once they get off the ferry than he gives it credit. May be not the evening boat, but certainly the morning boat. In particular many cyclists and foot passengers will also stay on in Port Ellen instead of moving on from the evening boat. Can an expanded marina and a few more cruise boats compensate for this? I doubt it. The season for yachts is fairly short while the ferry comes pretty much all year round. I doubt the cruise boats will bring much money to the local economy either. 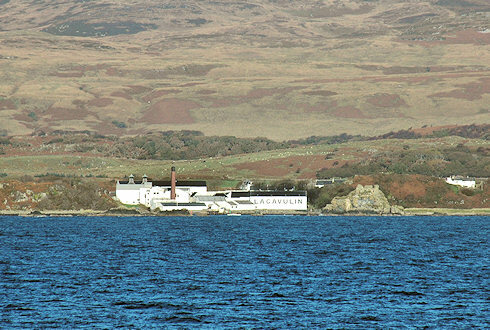 They are full board, so why would anyone spend much money in the restaurants on Islay? Souvenirs? I fear that money will largely go into the coffers of the distilleries, with limited additional benefit to the local economy. I would also be concerned about turning Port Ellen into ‘a bit more of a luxurious coastal village’. Isn't that risking driving prices up even further, pricing and driving out local folk and creating yet more holiday cottages only occupied for part of the year? I'm sure many will agree just for that the ferry link to Port Ellen needs to be maintained.